In the first issue, Anne Bogel, of the Modern Mrs. Darcy website and What Should I Read Next podcast shares her tips on budget-friendly reading, literary confessions, and other bookish fun. The rest of the magazine shares bookish ways to decorate for the holidays (this came out around Christmas time), books as gifts as well as other bookish gift ideas, and of course, book reviews in nearly every genre. 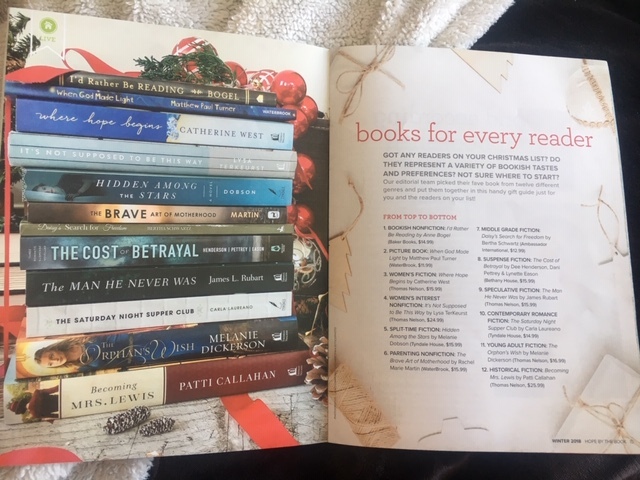 This magazine has a Christian base so many of the books have a Christian publisher, but I promise they share books that you have already heard of including the popular BECOMING MRS. LEWIS by Patti Callahan. There is also an article by Kathie Lee Gifford discussing her newest book for children. The magazine ends with a delicious recipe from the cookbook, EAT AT HOME TONIGHT by Tiffany King. The magazine isn’t excessively long and there were only three ads in the whole magazine which makes it much more readable in my mind. I was super excited when I saw this magazine featured and subscribed right away, but I had to wait until mid-January to receive it. Schmidt admits there were post office issues and when I emailed her, on the weekend, she responded right away and intended to get a new copy mailed right away. Then on Monday, my edition arrived in the mail, so there was no need. Schmidt assured me the next issue should arrive on time. I was just completely impressed with her response to my email and the customer service. 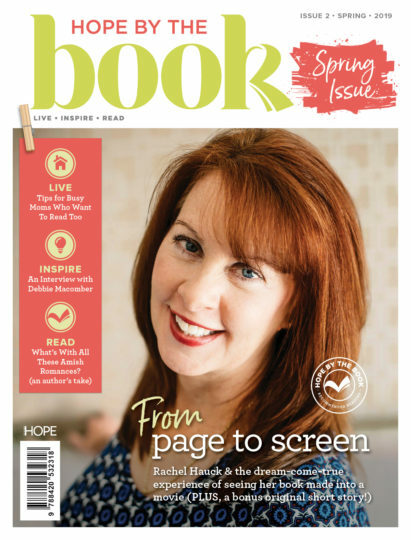 Hope By the Book Magazine’s next issue comes out this Spring and includes an interview with the beloved author, Debbie Macomber, tips for busy moms to fit in reading, and an interview with Rachel Hauck about her book becoming a movie. To subscribe to Hope By the Book, click HERE. You can also check out Hope for Women magazine, HERE. 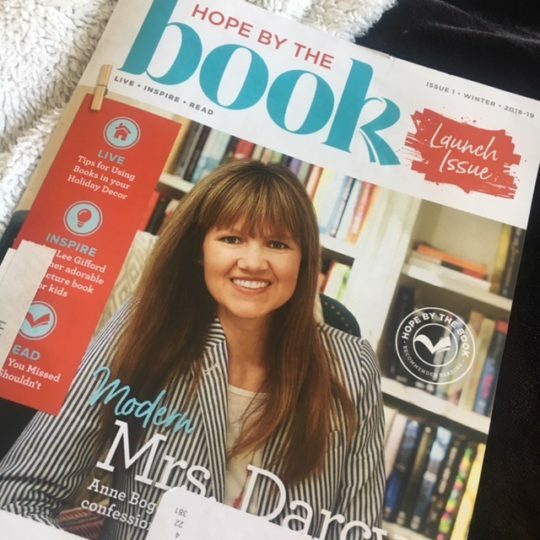 Subscribe now to get your Spring issue of Hope By the Book !